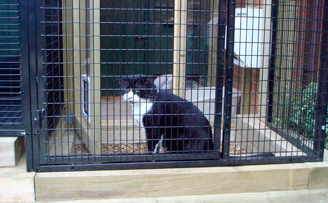 Our cat run panels are 3.5mm thick (9 gauge) galvanised then black powder coated. 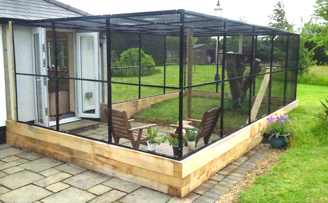 This is thicker than other panels on the market and is just as suitable for large dogs as it is for smaller dogs. 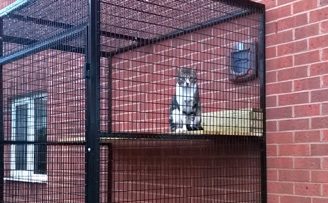 The cat kennel panels can be fit together to make custom shapes, we stock roof panels to suit. The panels are modular they come in 4ft and 2ft widths by 4,6 or 8ft high, this allow you to make as large a cat run as you wish. It also allows you to add to it later. 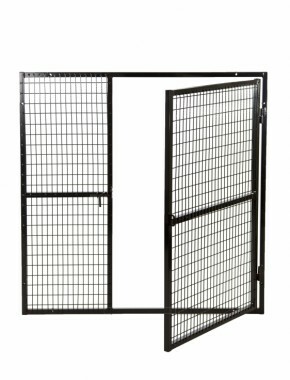 The cat run panels have bolt holes through both faces making any kennel panel either a corner or a side. This makes it even easier to change the shape or add to the dog kennel in the future. 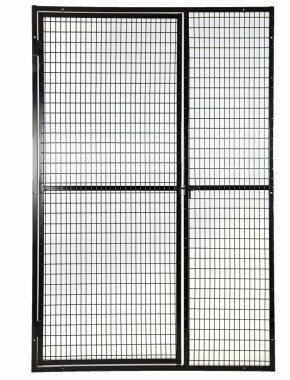 The panels are manufactured from 2" x 1" Welded Mesh with 3.5mm diameter wire and 25mm box section frame which are galvanized then black powder coated. If you have a wall you wish to incorporate into the pen you can attach our panels with wall plugs using the holes already available in the panels. A great way to use a 3 sided cage bolted onto the back of your property allowing your property door or cat flap to open within the cage. The below calculator works out the cost of a run of any given size. The more panels you have the cheaper they get, don't be suprised if the panels in your basket get cheaper when you add more. The answer to this is the bigger the run the better. A square run is fine its great to put things within the run for the cats to interact with. There are some good examples of this from our customers examples at the bottom of the page. Your first consideration when constructing a cat run is the location. 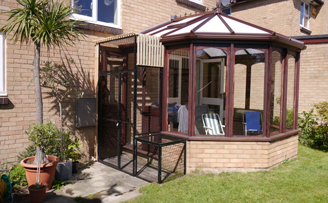 If your attaching to the back of your property what height is your door to allow it to fully swing within the cage. You can also get extra doors so that you can get out the cage from within. The cat run panels have a pre-drilled hole in the center to allow you to bolt down on concrete bases. 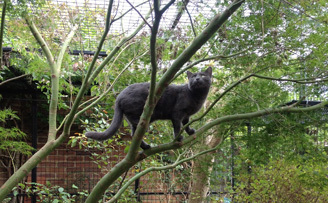 If it’s a freestanding cat run in an open environment, it is worth considering the prevailing wind. 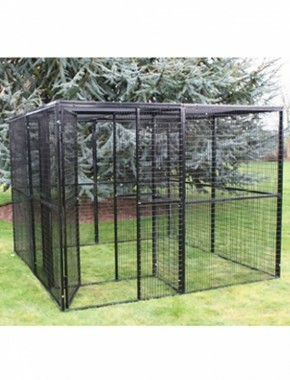 We sell half solid and fully solid dog kennel panels that protect against the wind and give shade. We also sell wind break netting that can be used within the run for the same purpose. 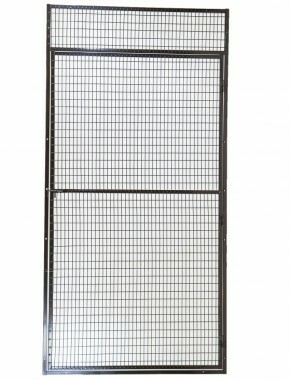 These half solid and solid panels can also be used to stop the dogs barking or keeping dogs from looking at each other when in a divided kennel. 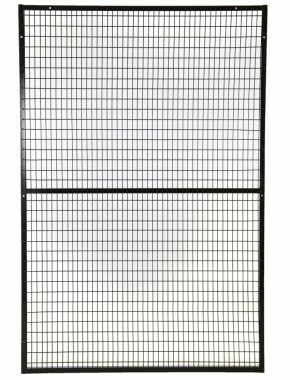 Our cat runpanels are 3.5mm thick (9 gauge) with a 2inch square mesh (50mm). This is thicker than other panels on the market. 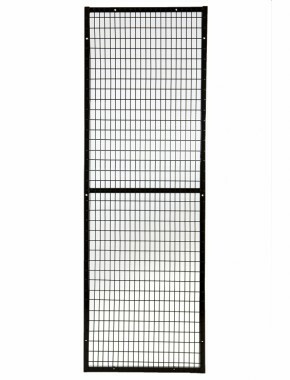 The panels are manufactured from 2" x 1" Welded Mesh with 3.5mm diameter wire and 25mm box section frame which are galvanized then black powder coated. 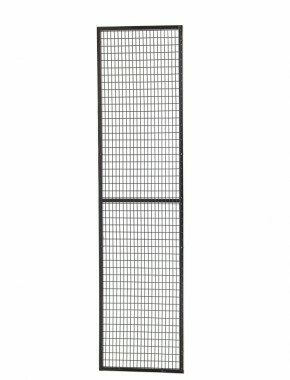 If you have a wall you wish to incorporate into the pen you can attach our panels with wall plugs using the holes already available in the panels. To use the calculator: Select if its 4sided (freestanding), 3 sided (against a wall 2 sides have to be the same length)or 2 sided (in a corner). 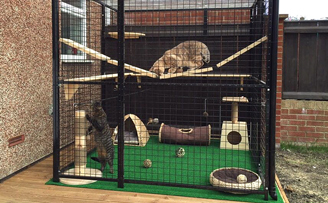 An excellent example of our cat run panels. The cat flap itself comes in from half way up our stairs, on the landing. 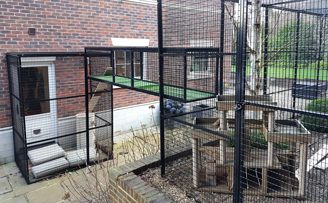 Safe outdoor cat run with perspex roof and guttering. 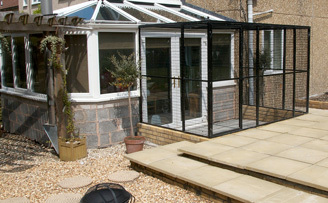 Adrians cat run onto conservatory. "I would like to say that Fine Mesh Metals were very helpful in assisting me with the panels I required to build my pen from a rough sketch I supplied. 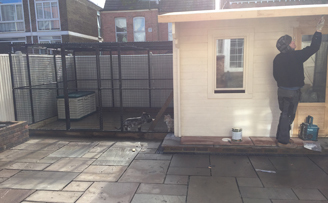 The assembly was very easy with a few basic tools and my cats love it, they cant wait to go out in the pen each day."